Wakasa Railway is a local railway that connects Wakasa to Kooge in Tottori Prefecture with 19.2 km of track. 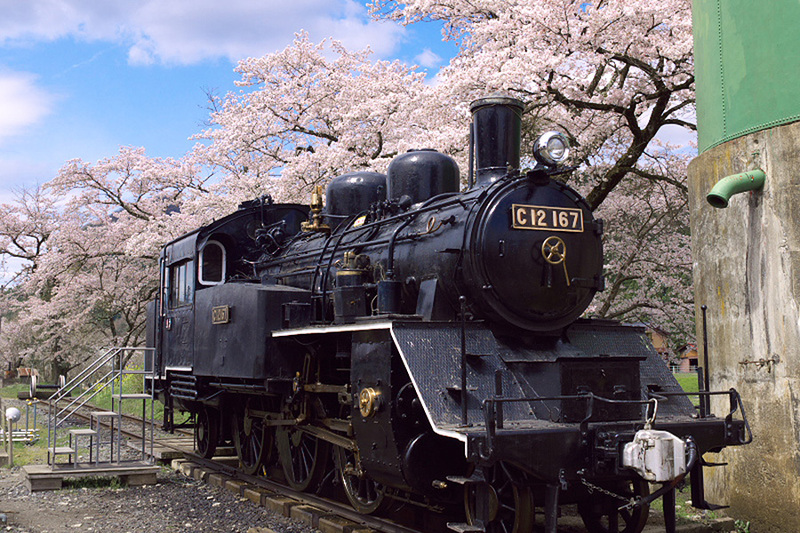 You can tour a wooden station building and steam locomotive which have an aroma like that of the Showa period (1926 to 1989) in Wakasa Station. You will find many attractions here even if you are not a railway fan. For example, in addition to being able to view a steam locomotive up close, there is an experience plan that allows you to actually operate it and move a turntable by hand to change the engine’s direction. There are also unique goods, such as an anti-slip sand straps to pray for school success made from the anti-slip sand of the steam locomotive and rail paperweights.